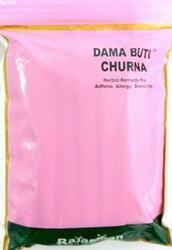 We are offering a wide range of Asthma Powder. The respiratory system is responsible for pulling oxygen out of the air and delivering it to the blood. Maintaining respiratory health can be difficult in the face of seasonal challenges. 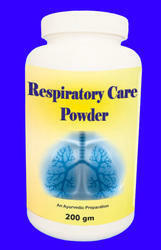 Respiratory Defense is specially designed to support healthy respiratory system. Supports respiratory system. It soothes throat (gargles) and supports singer's voice. Supports heart and blood circulation. Support normal fluid level of body which are already in normal healthy state. Respiratory Care Powder can be used to treat ailments of the lungs including bronchitis, asthma, and respiratory conditions associated with coughs and colds. Asthma Care contains natural herbs which may give relief to reactions of asthma, wheezing, bronchitis, shortness of breath, coughing tightness in chest, can prevent asthma attacks, maintain normal lung function and strengthen the immune system, relax the muscles of the breathing passages, may help to decrease the frequency of asthma attacks and control chronic symptoms. Mullein has very markedly demulcent, emollient and astringent properties, which render it useful in pectoral complaints and bleeding of the lungs and bowels. The whole plant seems to possess slightly sedative and narcotic properties. It eases breath and ceases cough along with preventing attacks of paroxysmal dyspnea. It stops progression of pulmonary disease, restores lung function, regulates immune mechanism and tones up respiratory system. Pharmacon Remedies (Bom) Pvt. Ltd.
Freedom from asthma and relives from breathing disturbances. Add use or two spoons of asthma arrest to warm water (or) honey, stir well and take thrice a day before food.